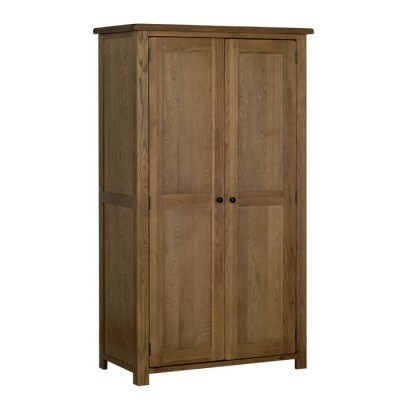 The Devonshire Rustic Oak Double Wardrobe provides essential storage to any bedroom. This modern range has a more traditional style with darker rustic brown oak which is sure to add a striking look to any room. 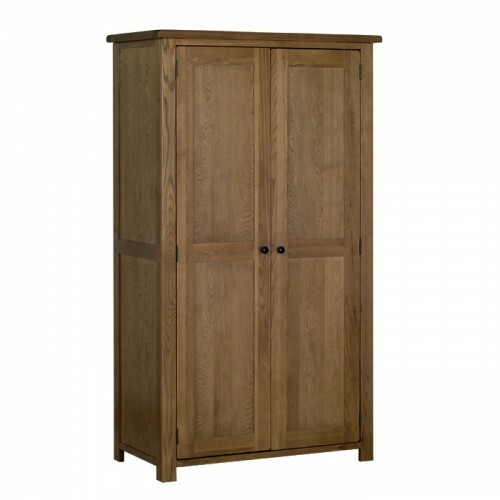 You will find something for your every need from this stunning range of solid oak furniture. Made with tongue and groove back and bases with dovetail drawers finished off with our black metal drop handles. Devonshire Rustic Oak Furniture is available for the bedroom, living room, dining room hall, study etc and is delivered part assembled to ensure ease of access to your home.